Basle, c.1560, Italian text. The first page of text an Italian edition of Munster's 'Cosmography', with an account of the Creation, with an illustration with God in the upper centre, angels in the top corners and dog-headed men in the bottom corners. With a capital of a putti with the letter 'H'. Paris, 1748. Illustration of terrestrial and celestial globes, with a compass rose and two diagrams of eclipses. Paris: Desnos, 1766. Within a separately-printed decorative border. Paris: Desnos, 1766. Africa south of the Equator, within a separately-printed decorative border. Paris, 1767. Illustration of terrestrial and celestial globes, with a compass rose and two diagrams of eclipses. London, c.1780. The diagrams 'Nominal Parts of the World'; 'Geographical Circles'; the Solar System; and an Orrery. Published in 'Middleton's Complete System of Geography'. Amsterdam, c.1602, Latin text edition. Untitled miniature celestial chart within an ornate strapwork cartouche, engraved by Pieter van den Keere. This is the earliest of two plates used to illustrated the Bertius atlas, without longitude and latitude scales. It was replaced by a new plate by Jodocus Hondius in 1616. Paris, 1683. A pair of celestial spheres, with the constellations depicted in their classical shapes. Published in Mallet's 'Description de l'Univers'. Paris, 1683. A putti holding an illustration of the Zodiac, pointing out the Zodiac on an armillary sphere, under which is a double-hemisphere world map. Published in Mallet's 'Description de l'Univers'. Paris, 1683. An armillary sphere, celestial and terrestrial globes and a double-hemisphere world map, to illustrate the equator. Published in Mallet's 'Description de l'Univers'. Paris, c.1700. Diagrams of the world illustrating geographic terms. London, c.1770. An armillary sphere, within a rococco border with a putti. Published as the frontispiece to an edition of Guthrie's 'Geographical Grammar', one of the standard reference books of the 18th century. London, 1802. 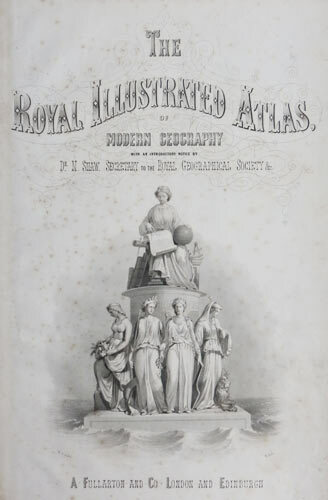 Published in 'Walker's Geography'. 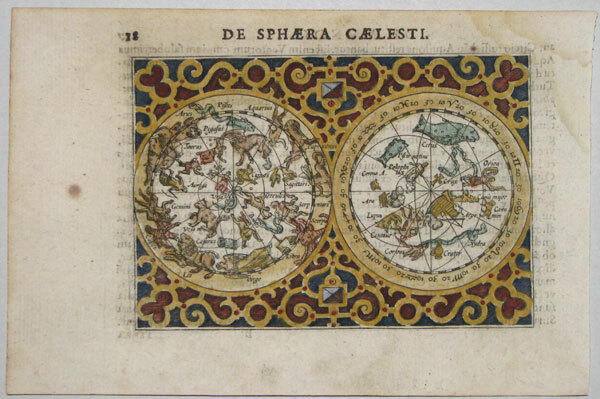 Set of Six Celestial Maps. London: Baldwin & Cradock, 1830. 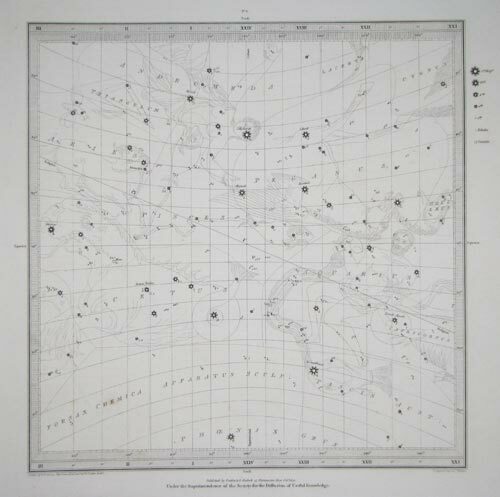 A detailed set of celestial charts on the Gnomic Projection, projected on the map in perspective. Thus the sheets form a rough cube. Each star is marked with its apparent magnitude and is shown within its classical constellation. The text contains an extensive quote from Flamsteed discussing his research on the originators of these constellations. View of the Imperial Observatory at Peking. Paris, c.1750. Showing globes, astrolabes and armillary spheres. 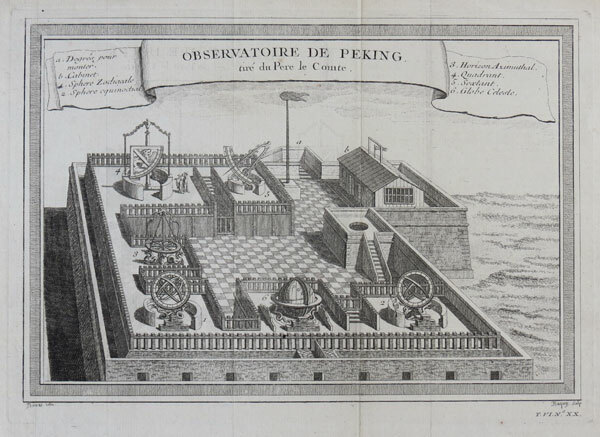 The Peking Observatory was equipped by Ferdinand Verbiest, a Flemish Jesuit missionary in Peking in the late 1660s. Rather than building the latest models he worked from Tycho Brahe's 'Mechanica', published eighty years before. Early diagram of the world. Basle, c.1600. Early geographical illustration, showing the horizon and tropics of Cancer and Capricorn. London, c.1863. 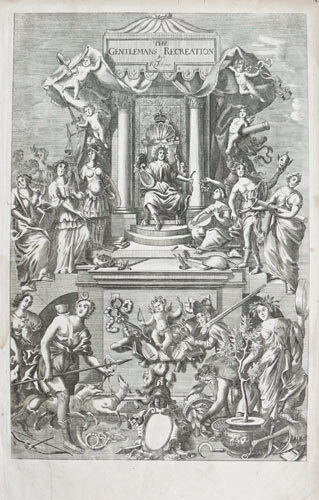 Engraved titlepage with female allegorical figures representing the arts and sciences. London: R. Bonwicke et al, 1710. The engraved title to the Second Edition of Blome's 'The Gentleman's Recreation', with allegorical figures of the arts, sciences and sports.